Huge Changes for North Carolina Expungement Law! Second Chance Bill Passes! Ratified by Governor Cooper. In a rare show of bi-partisan unity the North Carolina Senate passed Senate Bill 445 by a vote of 47-2 and the House passed it by a vote of 103-2. The law will dramatically improve state law surrounding the clean-up and expungement of North Carolina criminal records. For many North Carolinians this will be a very important second chance and will allow many to move past that one non-violent crime/mistake and rejoin the work force. This bill will provide a meaningful second chance to many first time offenders in North Carolina who now find it difficult to seek employment or gain admission to colleges and universities because of one mistake that they might have made as a youthful offender and for which they have paid their debts to society. Before SB 445 a person could likely only be granted one expungement in their lifetime. This bill would allow a person to obtain more than one expungement if the charge was dismissed or resulted in a verdict of not guilty. The bill would also reduce the time a first time offender of a non-violent misdemeanor has to wait before seeking an expungement after a conviction from 15 years to 5 years. The bill would reduce the waiting time for a person convicted of a first-time nonviolent felony from 15 years to 10 years. If a first-time convicted offender was later charged and convicted of another crime then a North Carolina District Attorney would be able to take the charge for which they received an expungement under consideration in sentencing that individual for the second offense. Reduces the wait time for expungement of a first-time nonviolent felony from 15 years to 10 years. Reduces the wait time for expungement of a first-time nonviolent misdemeanor from 15 years to 5 years. Provides for expungement of all dismissed and “not guilty” charges if the person has not been convicted of a felony. It used to be just once in a lifetime. Now there's no limit. Provides North Carolina prosecutors with electronic access to records expunged on or after December 1, 2017. Treats a conviction expunged on or after December 1, 2017 as a prior record if the person re-offends. This is important legislation will make a real difference in the lives of thousands of North Carolinians who have paid their debts to society and turned their lives around. It also allows many who were wrongfully accused of crimes in the first place to clear their name. As an example if you had a drinking ticket dismissed in college and then were charged with a totally bogus assault charge that was immediately dismissed you can now go back and get the bogus assault charge erased through the expungement process on December 1, 2017. This will mean a job for many people who are just trying to get past one stupid mistake or who have had more than one dismissed case or not guilty verdict. It will also generate a lot of revenue for North Carolina because of all of the new expungement petitions that will be filed this year. This bill will go into effect on December 1, 2017. This is a major new change for North Carolina Expungement Law. If you want to know if you qualify for a North Carolina expungement contact The Law Offices of Wiley Nickel, PLLC for a free consultation. You can reach us at 919-585-1486 to discuss your eligibility for an expungement. Our office is located in Cary, NC and we handle expungements throughout the state of North Carolina. 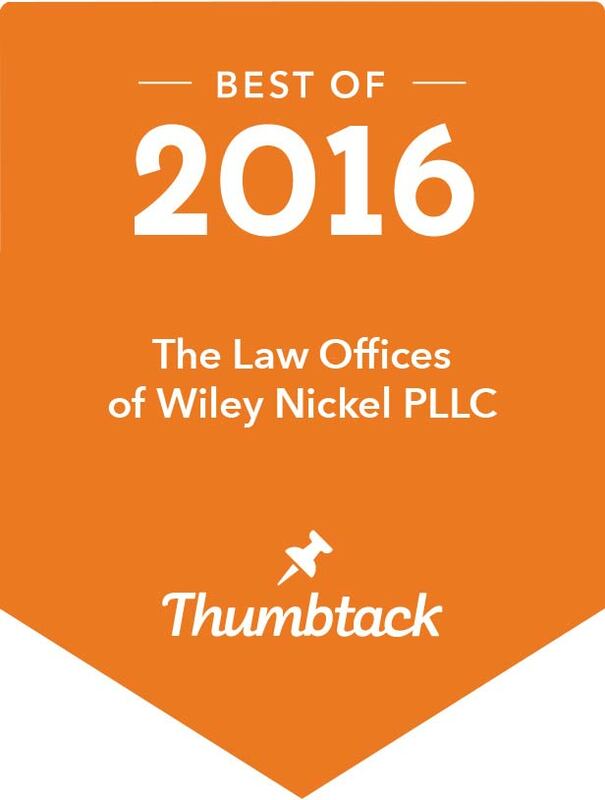 You can also contact expungement lawyer Wiley Nickel directly at wiley@wileynickel.com to discuss an expunction. How Many Different Expungements Can You Get in North Carolina? How To Get Your Criminal Record Expunged: Can You Get Multiple Expungements in North Carolina? You can get as many expungements as the law allows. Some types expungements bar you from getting certain other types of expungement in the future and for other situations there could be multiple expungements allowed. It’s all very fact specific. Many can get an NC expungement of a misdemeanor conviction for an offense committed before the age 18 plus certain drinking tickets before age 21. That expungement statute does not list a prior expungement as a bar to getting one. In many cases you can’t get a dismissal expungement if you’ve had certain other types of expungements. If you have a misdemeanor conviction on your record and want to get an expungement for a dismissed case that conviction likely does not bar you from a dismissal expungement. For many clients the order of using their expungements is very important and if there are multiple things going on you could limit the possibilities for expungements if you do them in the wring order. For many clients their public records can be erased through the expungement process for one misdemeanor or low level felony after 15 years have passed (assuming it’s the only criminal conviction on their record). In that situation most other prior expungements could block them from the 15 year wait kind of expungement. An expunction of a dismissal is the one type of expungement that is not listed as a bar to getting the 15 year type. A prior expungement generally makes it difficult for a person to get an expungement more than once. However there is not a rule that allows only one expungement for all scenarios. The terms of each statute control whether a person can obtain another expungement. North Carolina law creates a narrow path to additional expungements in many situations. All cases are different. If you have questions about getting a second expungement contact The Law Offices of Wiley Nickel, PLLC at 919-585-1486 for a free consultation. Our NC Expungements Lawyers will answer your questions and let you know if we can expunge criminal records for you.